Franchising brings big changes to North American LoL esports. After months of debate, speculation, and frenzied argument, franchising has finally come to the North American LCS for the Summer Split. Riot have released a detailed post about the details of their new plan, and there’s a lot to like about the new financial models. Fans and orgs alike have been interested in an end to relegations, a solid structure to invest in, and a better Challenger environment. Riot’s new plan answers a lot of the questions that organizations and investors had, and builds a foundation for more plans to come. To start, there will no longer be a promotion tournament at the end of each split. The promotion tournament put the worst LCS teams in an arena with the best CS teams, and they would fight for the bottom two LCS slots. In theory, this allowed for scrappy Cinderella stories of young orgs rising to the top and clawing victory from older teams. In practice, relegation killed organizations. If a team didn’t make it in, or dropped out of the LCS, there was a very good chance that it was the end of that organization. To make matters worse, relegations was a weight hanging over every pro. A few bad games can put someone on tilt, but when that could possibly lead to the end of your career, everything becomes more intense. 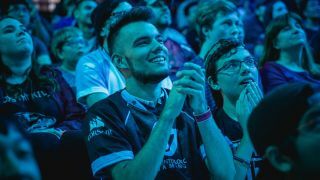 2017 is a notable year, as we didn’t see any relegations between Spring and Summer. It can be argued that Liquid got in only thanks to borrowing legendary ADC Doublelift from TSM, but they earned their spot regardless. In 2018, teams will apply for an LCS slot. Earning an LCS slot protects you from relegation, and provides some stability; one bad split is no longer a potential death sentence. In fact, teams will be more likely to experiment with new players or young talent instead of desperately grabbing at any import they can or maintaining an unhealthy environment to stay above the promotion tournament line. On the other hand, if you’ve watched the split where a Team Coast completely washes out, you know how negative a viewing experience it is to have a dead fish team that shows up only to get completely stomped each week. Riot is tackling this in two ways: first, there are going to be financial bonuses for higher ranking teams. If bragging rights aren’t good enough, a giant cheque will suffice for most players. Finally, relegations can kick in if teams finish bottom two five times over an eight-split span. That means if you’re consistently failing without any signs of improvement, Riot can pull the plug and get a fresh org into the league. However, their wording does suggest that this may not happen in every case, suggesting Riot isn’t planning on making any absolute rules about their esports ecosystem. Of course, this raises the question of why an application is necessary. There are ten teams in the LCS, right? Riot is looking to pick the organizations who enter the LCS, looking for organizations who have the “welfare and support of pro players on their teams as one of their top priorities.” The official release explains that this goes beyond coaching players for the game themselves, but preparing players for life outside the game. Some organizations are already offering these opportunities, but it becomes a much more attractive prospect if it’ll get you a spot in the LCS. Of course, this isn’t a purely altruistic venture. Organizations who want into the LCS will pay a $10 million buy-in cost. This is, in theory, a win-win for Riot. They get to pick the best organizations who will work with them and present the best front, and they also get to create an ecosystem that doesn’t burn players out or create adults who don’t know how to function in the real world outside the LCS stage. The downside is that these requirements will require a lot of infrastructure. Organizations will be buying into the league and maintaining the staff it takes to maintain a healthy, positive environment. So, what happens to the little guys in League? Well, every team is going to have an academy team now as part of the deal. This creates a talent development and scouting league, and as teams evolve and grow (especially without relegations haunting them), these players can get promoted to the A team. It’s impossible to bring up a deal like this without talking about how teams can profit. Riot is offering some juicy financial incentives to teams who pay to enter the partnership. Orgs will be getting a share of league-based revenues, including media deals and digital goods with a teams brand on it (think League icons with your favourite LCS team’s logo). Teams can also make bonuses based off of ‘viewer engagement’. Presumably, this means if a meme team similar to the new Delta Fox lineup of all star streamers entered the LCS, Riot would reward the increased eyeballs on screen accordingly. This agreement goes both ways: teams share what they make as well off their merch sales and sponsorship deals. What’s interesting is this all only applies to the North American LCS. The European LCS will still be dealing with relegations, promotions, and the traditional model. Then again, North America doesn’t have multiple big brands battling it out in the Challenger circuit. This model does give Riot the power in choosing their ten LCS teams and applying standards, but if it succeeds, organizations have a lot to gain as well. Most importantly, pros will be getting not only pay raises and bonuses, but also guaranteed mentoring and training. Hopefully this new era of the LCS lives up to the initial expectations and hype, because it could usher in a golden age for players looking to make it pro.